It’s mobile era. In addition to favorite beverages, we also need mobile energy to feed our mobile devices when camping so nipi was born to bring you a combination of cooler and solar charger. 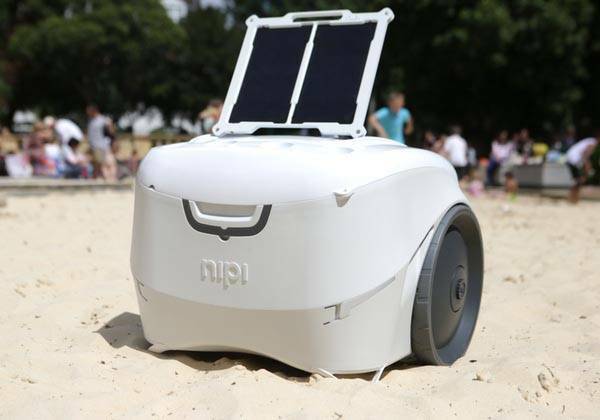 The nipi is a multi functional and easy-to-carry cooler that not only hold various beverages, but also provides on-the-go energy for your mobile devices. The cooler shows off a minimal and elegant design with two color options. Using its two oversized all-terrain wheels and telescopic handle, you can easily take it anywhere. What makes the cooler outstanding is a dedicatedly designed solar panel and its two 14,000mAh backup batteries. Using the two parts and 4 USB charging ports, the cooler doubles as a powerful solar charger to charge your devices, and internal lockable dry storage area with LED light keeps your devices securely in place during charging. And you can connect multiple solar panels for enhanced charging efficiency. In addition to solar energy, the inbuilt power bank can be recharged via wall outlet or your car. 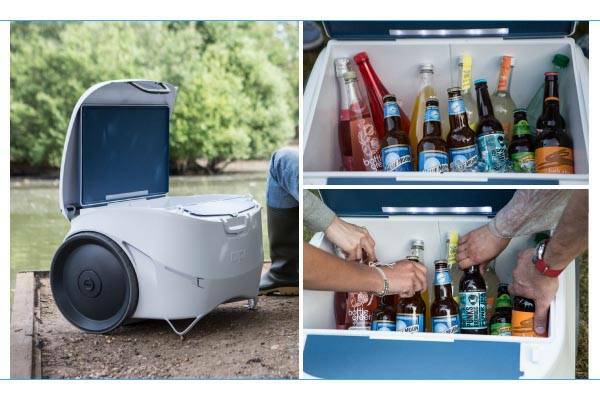 As a decent cooler, the nipi features a 50 quart cool storage area, and using its ice retention technology relying on a double insulated lid and super thin wall, the area can keep the ice frozen for 6 whole days in order that you can enjoy your favorite chilled beverage outdoors at any time. 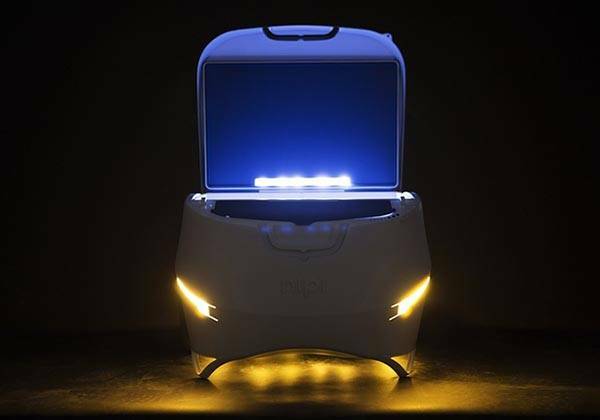 Moreover, the cooler also comes with 4 integrated cup holders, divider and cutting board, and integrated LED illumination lets you conveniently take things out at night. The nipi has been available for preorder via Kickstarter. You can pledge $195 to preorder the cooler with solar charger. It will be shipped in March next year. Additionally, also don’t miss Coolest multi functional cooler and more cool stuff by following tags.